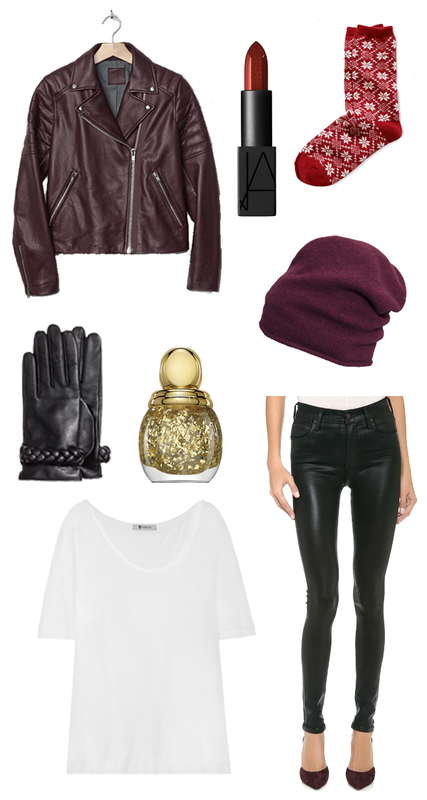 Lots of burgundy, black, and leather in my wish list. We're getting ready to head over to Europe in the next couple of weeks and I'm sensing that this will be my color palette that gets packed :) Which item is your favorite? Just bought that beanie! Great find! I saw your super cute fishtail braid on instagram!! Can you please share a tutorial on how to do this! Oh I love the lipstick, wish I was brave enough to wear one that shade:) I am curious where in Europe you are going Andy:) I have been checking for flights back to Rome again for mid Feb, I hope we can make thatx! Hi Katie! We will be in Austria for the New Year holiday and then in Italy for my birthday :) I can't wait!